Heads Up! New Zoom Features Coming Your Way! At Zoom, our world-class engineering team is always hard at work to bring you the most innovative advancements in video communications. Below are some of the new features we just released this past weekend (March 30, 2018). To access these new features, make sure you’re using the most up-to-date Zoom client by clicking here. For more information, here are the complete release notes. We have created several new integrations that make calendaring and scheduling with Zoom completely frictionless. Safari Extension – Google Chrome, Mozilla, and Edge browser users have enjoyed Zoom’s web extension for years. Now Safari users can join the party with our new web extension for Safari! Safari users will be able to easily schedule meetings directly from their browser with integrations such as Google Calendar. Download the extension here. Zoom Client – See all your meetings (Zoom and non-Zoom) from your Zoom desktop Client. Also, Zoom’s chat presence status will change to “Unavailable” when you’re in any type of meeting as long as it’s listed on your Google Calendar. Google Chrome – We’ve updated our Google Chrome extension to allow you to modify meeting settings such as “Join before host” and “Mute all upon entry” each time you start a meeting. Recording Registration – Users can track who is watching their webinar and meeting recordings through a customized registration form (requires a Zoom Pro account). On-Demand Webinars – Webinar registrants who missed a webinar have on-demand access to recordings without having to re-register. These features are particularly helpful for those who are using recordings for marketing or sales purposes, as they can track which prospects have watched their recordings. It is also useful in education and corporate training and development to know which students or employees have viewed virtual courses. Waiting Room Customization – Users can now customize their virtual waiting room with their logo, meeting title (auto filled from the calendar), and a personalized message. Macbook Pro Touchbar – Macbook Pro users can manage meeting controls using their touch bar (available on the new Macbooks). Over 10,000 educational institutions love Zoom. We have built numerous features for education, including integrations with various learning tools. Learning Tool Interoperability (LTI) – We’ve updated our integration with Blackboard and added a new LTI with Sakai. On both platforms, users can now configure, host, and manage meetings directly. Keyword & Contact Notification – You can now turn on notifications for specific keywords and messages from specific contacts. Imagine you’re in marketing. Now you will be notified whenever anyone in your chats says words you select like “marketing,” “brand,” “news”, or anytime your CMO chimes in. To access these new features, make sure you’re using the most up-to-date Zoom client by clicking here. Want to learn more about our new features and how they can help your enterprise? 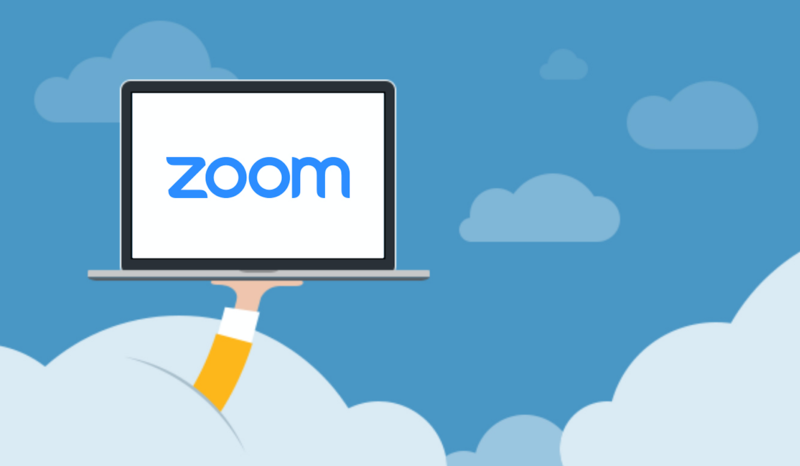 Sign up for a personalized 1-on-1 demo with a Zoom specialist today!